Accessibility is a general term used to describe the degree to which a system is usable by as many people as possible.It is not to be confused with usability which is used to describe how easy a thing is to use. In regards to website development, accessibility refers to the content being procurable and functional to largest possible audience. Accessibility Only For Disabilities? - Tommy Olsson. Et Tu, Joe? - Tommy Olsson. What Is Web Accessibility? - Trenton Moss. What is media access? - Joe Clark. 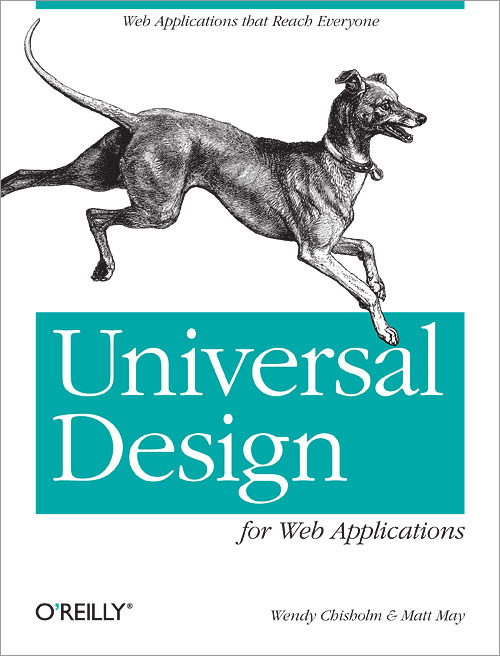 Universal Design for Web Applications teaches you how to build websites that are more accessible to people with disabilities and explains why doing so is good business. It takes more work up front, but the potential payoff is huge—especially when mobile users need to access your sites. You'll discover how to use standards-based web technologies to develop applications for a wide range of users and a variety of devices, including the mobile Web. "Accessibility" has a reputation of being dull, dry, and unfriendly toward graphic design. But there is a better way: well-styled semantic markup that lets you provide the best results for all of your users. This book will help you provide images, video, Flash and PDF in an accessible way that looks great to your sighted users, but is still accessible to all users. 10 Reasons Clients Don't Care About Accessibility - Christian Heilmann. 100,000 Reasons to Design for Accessibility - Bruce Lawson. Accessibility...Who Does It REALLY Help? - Darrel Austin. 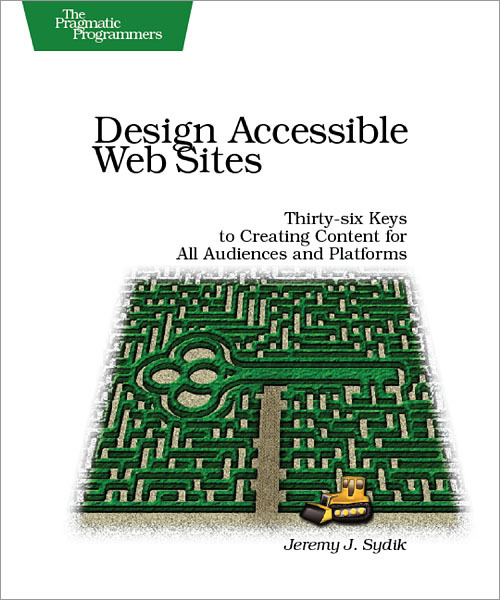 Auxiliary Benefits of Accessible Web Design - W3C. Benefits of an Accessible Website - part 1: Increase in Reach - Trenton Moss. Benefits of an Accessible Website - part 2: The Business Case - Trenton Moss. Developing a Web Accessibility Business Case for Your Organization - W3C. Don't Disable Your Site for Handicapped Users - Matt Bailey. Don't Use the Statistics Defense as a Reason to Exclude People From Your Content - Jim Byrne. High Accessibility Is Effective Search Engine Optimization - Andy Hagans. How Do You Get Your Client to Pay For Accessibility? - Gez Lemon. How To Sell Accessibility - Trenton Moss. Presenting the Case for Web Accessibility - W3C Draft. Selfish Reasons for Accessible Web Authoring - Kynn Bartlett. Selling Accessibility to Programmers - Joe Clark. The Secret Benefit of Accessibility: Increased Usability - Trenton Moss. The Secret Benefits of Accessibility Part 2: Better Search Ranking - Trenton Moss. WAI - W3's Web Content Accessibility Check. Why bother? - Joe Clark. Section 508 Technical Assistance page - The Access Board. 1194.22 Web-based Intranet and Internet Information and Applications - The Access Board. Standards for Electronic and Information Technology: An Overview - The Access Board. Section 508 Web Accessibility Checklist - WebAIM. Web Accessibility for Section 508 - Jim Thatcher.